Robert Pointer is a Canadian artist, educator, and musician working in central Ontario. His artwork has been on exhibit since the 1970's and is in private and public collections across Canada. A figurative artist, he primarily creates intimate paintings from observation or relating to direct experiences in acrylic, or oil on canvas. His paintings can be in the realist, impressionist, or abstract tradition depending on his subject and intention. Born in Galt (now Cambridge), Ontario in 1954 he became interested in art as a teenager, inspired by the work of his elder brother, and encouraged by his high school teachers. 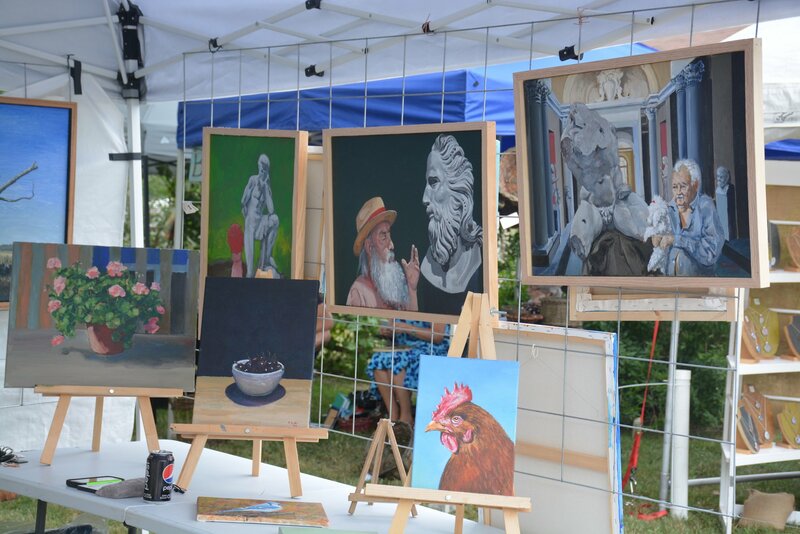 This interest led to success in local juried art competitions in the mid-1970's. He enrolled at the University of Guelph, graduating in 1981 with the degree of Bachelor of Arts (Fine Arts). After graduating, Robert opened a studio in Cambridge where he painted for exhibitions and taught art lessons. 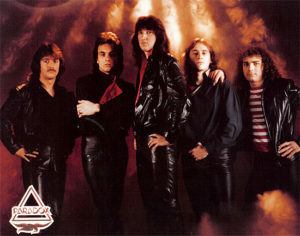 Shortly after this period, he was asked to play bass guitar in the Toronto-based rock band, Paradox. His relocation to Toronto resulted in his first solo art exhibition at the Shooting Gallery in Toronto on Yonge Street and meeting his future wife. The career as a rock musician lasted three years performing on many stages in Ontario with a focus on the Toronto market. 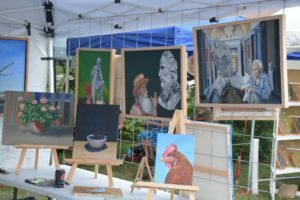 Continuing with painting, he joined the York Artists Guild, taking the position of Secretary and writing several art-centered articles for the monthly newsletter as well as exhibiting in the several group shows. 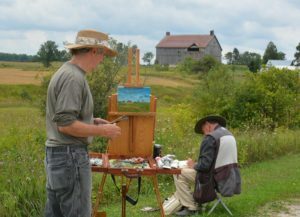 His second solo show was at the York Hydro building presented through the York Artists Guild. In 1988 he entered the Faculty of Education at the University of Western Ontario to earn the degree of Bachelor of Education (Visual Arts) and was hired by the Peel District School Board in January 1989. 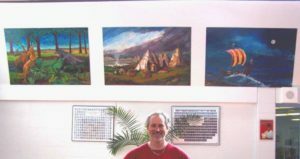 During his 25-year teaching career with Peel he embraced the many opportunities to teach art at the elementary junior and intermediate levels. He contributed to curriculum development and led workshops focused on integrating digital technology in education. 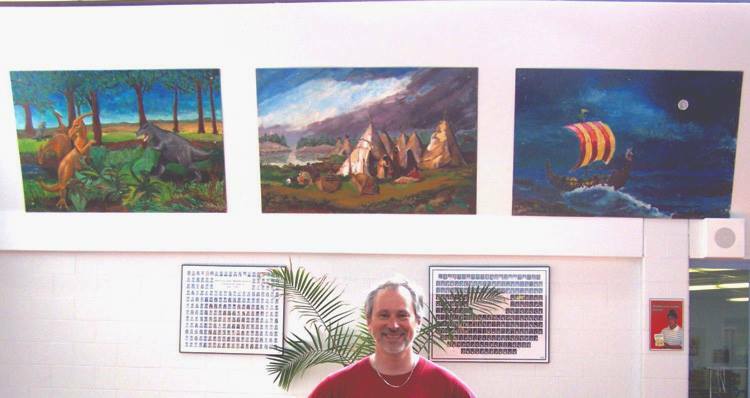 In his final seven years of teaching, he taught art and music exclusively and led a major four-year, extra-curricular art project depicting a history of Canada in twelve four-foot by six-foot panels. His teaching and leadership skills garnered several awards for himself and his schools. Throughout his teaching career, he continued to exhibit with major exhibitions at the Double Door Gallery in Anten Mills, Ontario. 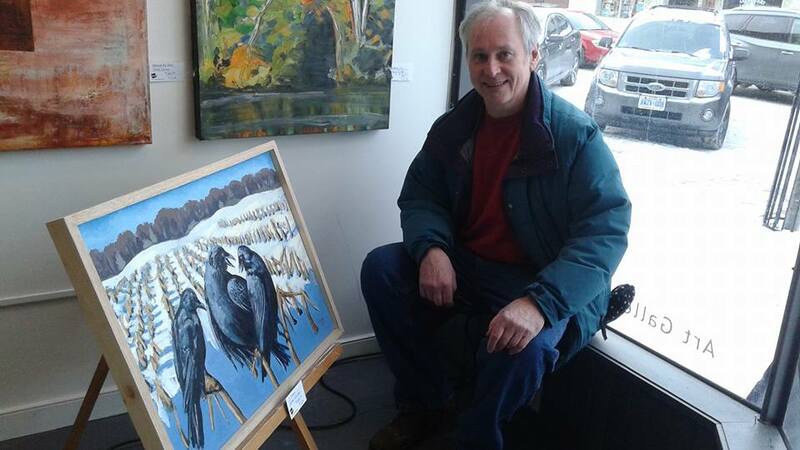 After retiring in 2014, Robert Pointer continues to exhibit his art at galleries and shows. His exploration of the themes of cottage country tranquility and exuberance, aging and a life lived, and the contrasts of rural and urban life keep him inspired. He teaches fine art through his business Wildwood Art Adventures at his newly constructed studio and in venues throughout Grey Highlands. He is active in the art community as a member of the Blue Mountain Foundation for the Arts in Collingwood, the Saugeen Autumn Leaves Studio Tour, and the Tourism Advisory Committee of Grey Highlands. 2017 – “Les Belles Fleurs” Juried Exhibition, celebrating the flowers of Canada.